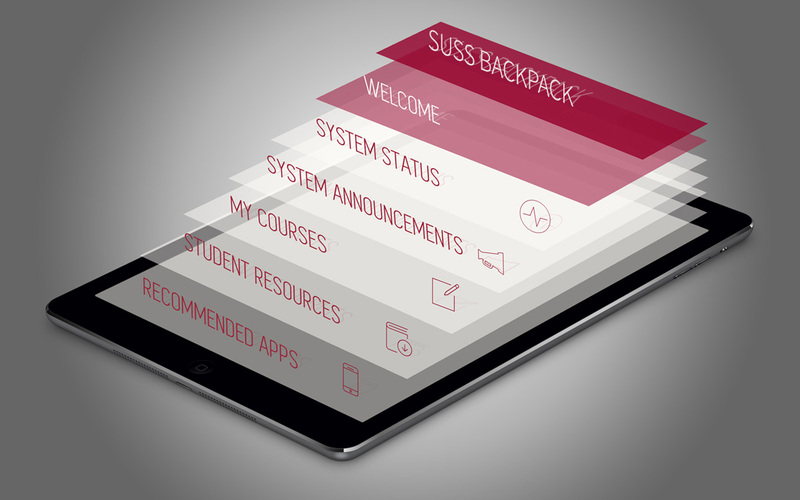 SUSS Backpack is the latest mobile application launched by Singapore University of Social Sciences for our students, faculty and staff. With this app, students can access their interactive study guides, recorded lectures and past year exam papers right at their fingertips. The app also enables users to receive important notifications from the University instantaneously on their mobile devices and it comes installed with useful student resources (e.g. academic writing, essential skills etc) that help improve their learning experience in SUSS. SUSS Backpack is available in both iOS and Android versions, and it is downloadable free of charge from Apple AppStore and Google Play.